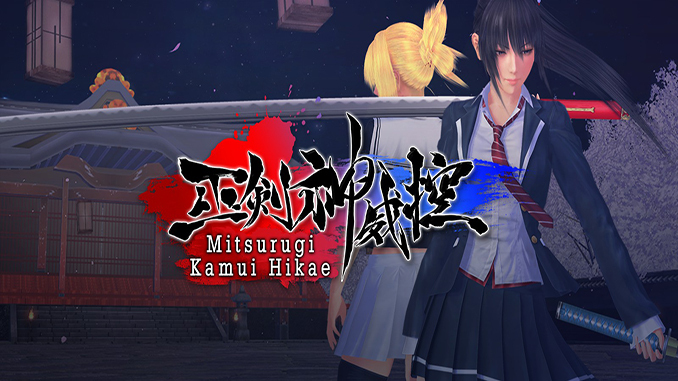 Mitsurugi Kamui Hikae focuses on high-speed arena-based action. Use lightning fast sword slashes, hand-to-hand attacks and mysterious ancient techniques to defeat wave after wave of demonic foes. Use skill points to learn new skills, upgrade your abilities, and take on brutal bosses. Weaken your enemies with vicious wounds, then sheathe your sword to finish them off with style. Employ hand-to-hand techniques to build your katana gauge, then cut deep with your divine blade. – Execute lightning fast combos mixing sword swipes with powerful kicks. – Learn a host of new moves that will change the way you face enemies. – Follow the gripping story of two shrine maidens at war over a powerful demonic sword. Weaken your enemies with vicious wounds, then sheathe your sword to finish them off with style.